Tree planting is a good deed as it conserves the nature. So it’s the duty of every individual and every person. 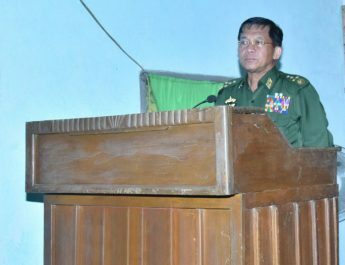 Instead of relying solely on nature, we must do necessary things annually, said Commander-in-Chief of Defence Services Senior General Min Aung Hlaing at the third monsoon tree-planting ceremony for 2017 of the families of the Office of the Commander-in-Chief (Army, Navy and Air) held near Yezin Dam in Zeyathiri Township, here to conserve the environment of the dam. 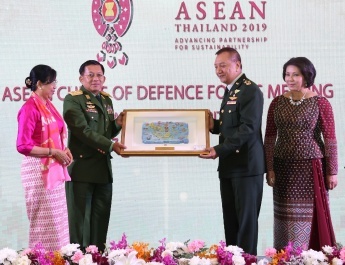 In his speech, the Senior General said the families of the Office of the Commander-in- Chief (Army, Navy and Air) have held monsoon tree-planting ceremonies annually in the surrounding areas of Yezin Dam since 2011. 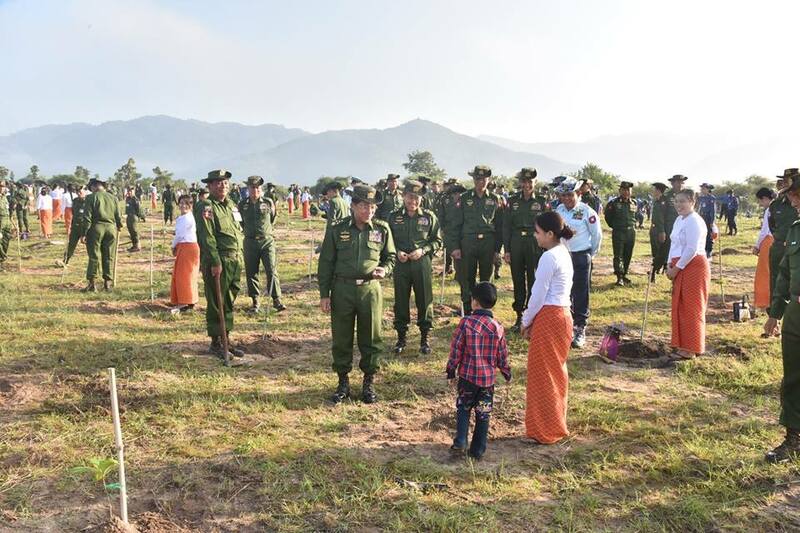 Likewise all other battalions and units of the Tatmadaw and the ministries also grow trees. 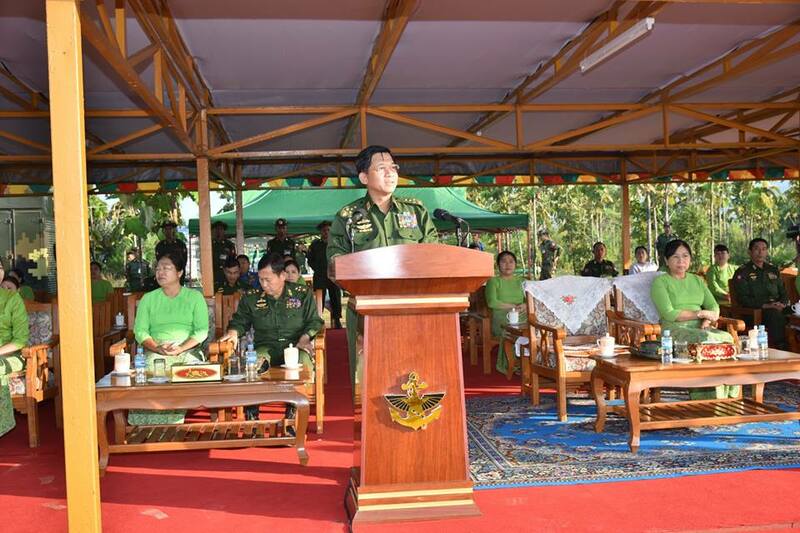 The Tatmadaw as a whole has planted about 9.5 million trees. Thanks to the nature, this year’s inflow of water is good at dams and lakes in the country. So nature must be preserved and maintained. Yezin Dam has to release water this year as its water level has exceeded its maximum storage capacity. It is the first time the dam opens its overflow valve after 2009. All must be wise in utilizing the nature effectively without making any waste. All must stay away from wasting water or indiscriminate felling of trees as it may lead to forest depletion. Everyone has the duty to collectively protect the nature. And every citizen has the duty to safeguard race, religion, cultural identities and national interest. In this age of globalization development knows no boundaries as everybody in the world can enjoy them. All must strive for the positive progress for the flourishing of good characteristics and deeds and preserve the excellent characteristics of the country. All the people living in the country must strive for the good of the country with patriotism. Additionally, the national defence duty falls on every citizen. Next, the Senior General and wife Daw Kyu Kyu Hla planted teak trees in commemoration of the third monsoon tree-planting ceremony. Then, Deputy Commander-in-Chief of Defence Services Commander-in-Chief (Army) Vice-Senior General Soe Win and wife, Union Ministers and their wives, senior military officers from the Office of the Commander-in-Chief and their wives, senior officer trainees from National Defence College, officers and other ranks from offices/departments under the Office of the Commander-in-Chief and their families planted trees in respective places. The Senior General and party viewed and encouraged the officers, other ranks and families planting the trees. 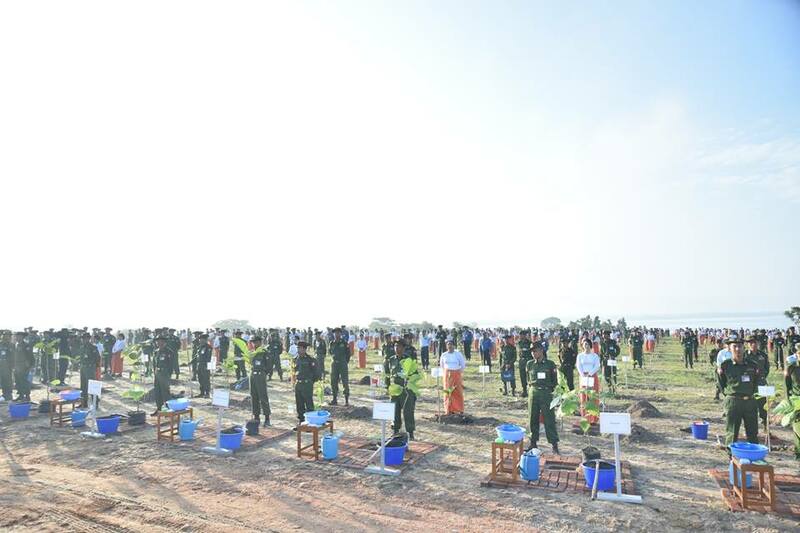 At today’s ceremony, 7,500 teak trees were planted. 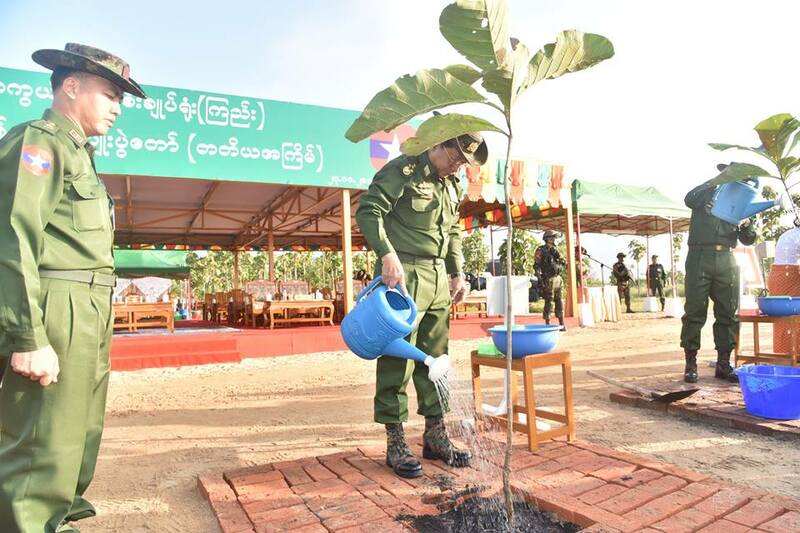 Similar tree-planting ceremonies took place at various military commands at the same time. 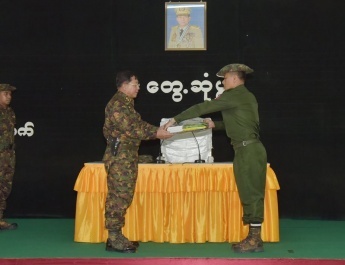 Nay Pyi Taw Command planted 21,891 trees, Northern Command 26,543 trees, North-East Command 15,817 trees, Eastern Command 37,685 trees, Central East Command 13,240 trees, Triangle Region Command 23,631 trees, South-East Command 15,811 trees, Coastal Region Command 20,245 trees, Yangon Command 38,650 trees, South-West Command 39,634 trees, Western Command 14,955 trees, North-West Command 20,724 trees, Central Command 143,095 trees and Southern Command 39,371 trees. The command commanders, officials, officers and other ranks and their families planted trees in their respective military commands. 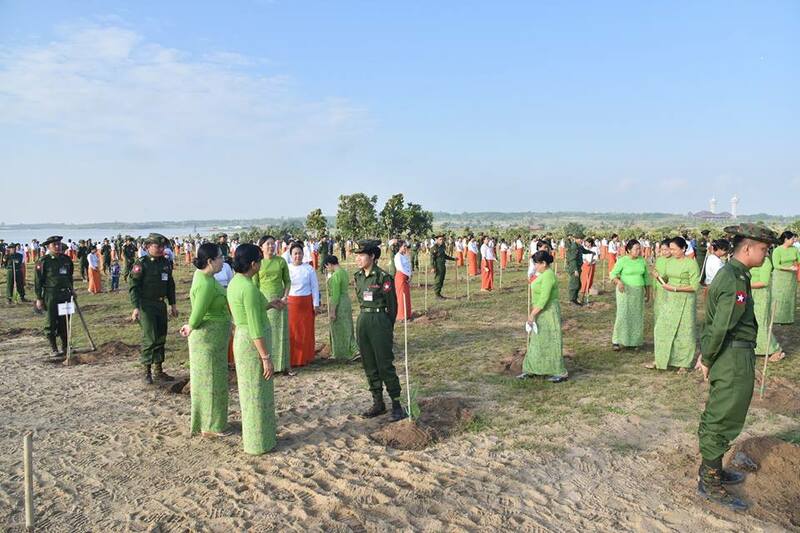 The entire Tatmadaw planted a total of 478,792 trees today. 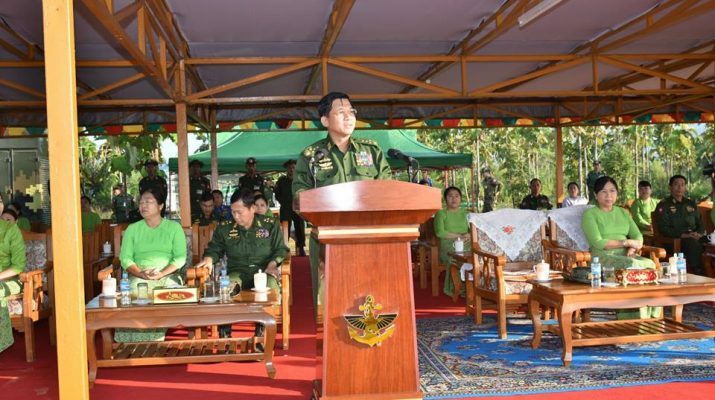 Under the leadership of the government and Tatmadaw, monsoon tree-planting ceremonies are yearly held across the country as a national duty so as to conserve the natural environment, prevent natural disasters and create a green country. In 2017, the entire Tatmadaw has grown 1,371,273 raw industrial crops, teak, perennial crops and windbreaks.